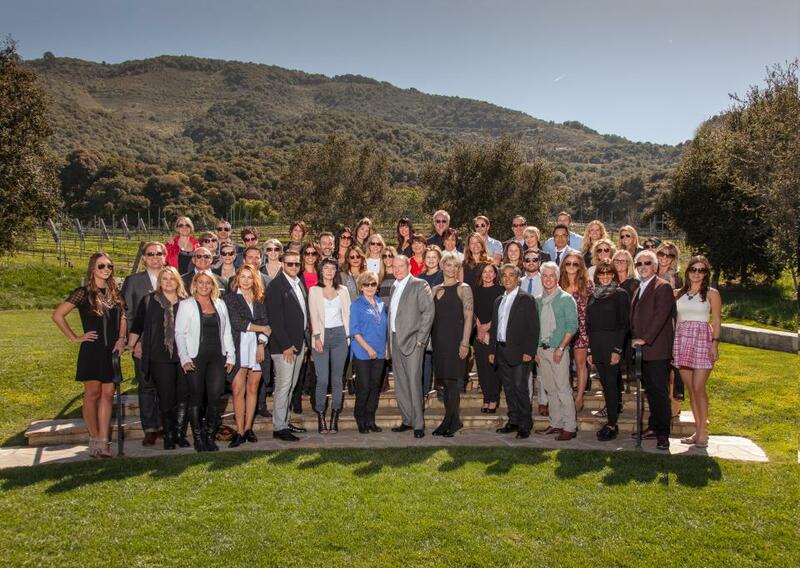 Jack and Joelle Ray recently visited Carmel Valley Ranch in Carmel, California for the first ever Luxury Brand Partners Education Excursion. 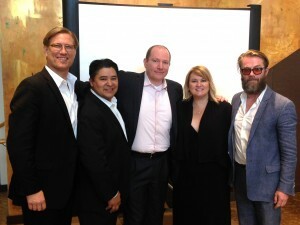 Top Salons in the Luxury Brand Partners Network (creators of Oribe, R+Co, V76 by Vaughn and Smith & Cult) gathered for a 3 day education experience/think tank, with LBP leaders and executives. The exclusive event focused on the state of the industry as well as future trends influencing the salon industry at large. 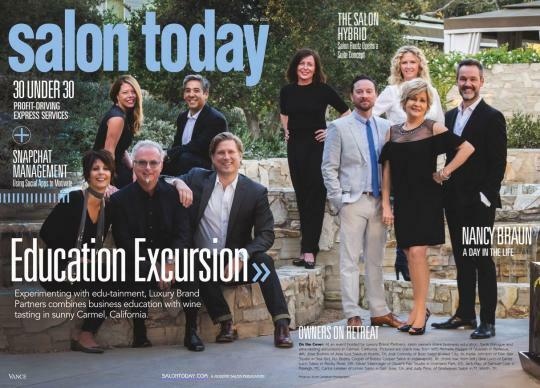 In addition to the business education and wine tasting events, Jack Ray, was asked to appear on the May cover of Salon Today highlighting the Top 10 salon owners that attended the inaugural event. LBP was recently recognized as the 51st most promising company in the country by Fortune magazine and has, over the past two years, been gathering the best and brightest in the industry from a talent, salon and business perspective. The Excursion also included plenty of time to network. The presentations featured a demonstration by industry legend and R+Co co-founder Howard McLaren featuring his brilliant razor cutting techniques as well as thought provoking insight into the direction and implication of social media and technology’s rapid evolution. The most impactful and moving presentation was delivered by LBP President, Tevya Finger. Finger brilliantly wove together the story of how he applied the leadership examples/principles of Earnest Shackleton while dealing with the premature birth of his twin girls and launching his company amid the economic crisis. 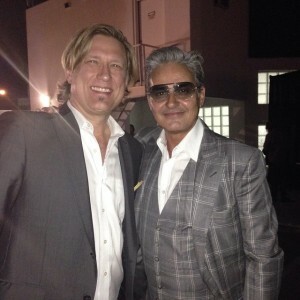 Co-owner of Samuel Cole Salon, Jack Ray, traveled to South Beach, Miami to attend Wella’s pre-release event for their newest innovations, Freelights and Instamatic couture color. The event, exclusive to members of the Wella Creative Retreat Team, was held to show off their newest color technology before it is released to salons. 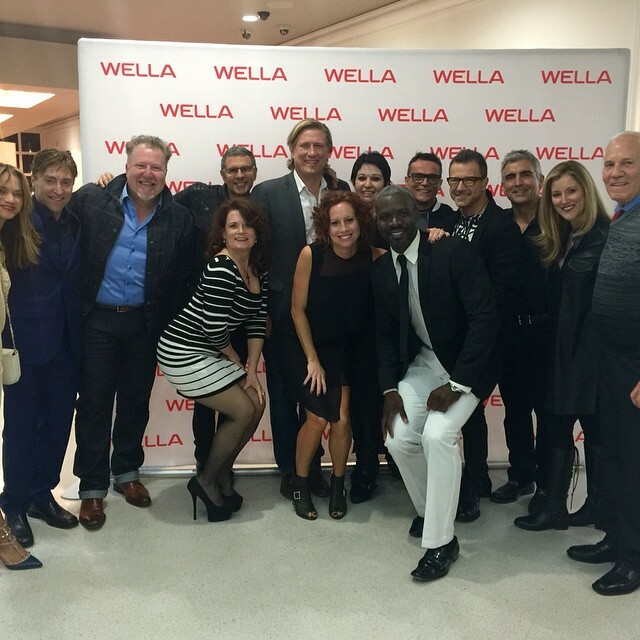 Jack and other members of the team participated in an intimate, hands-on workshop with Wella’s top colorists and stylists. Jack had the honor of working with numerous hair industry stylists, colorists, and business leaders over the 2 day event, including: Fabio Sementelli (VP of Education for Wella North America), Carol Protat(North American Creative Director), Stephen Moody (P&G Salon Professional Global Education Academy Dean), Sonya Dove (long time Wella master stylist, world class colorist, and co-owner of The Doves Studio), Eric Lindsey (Master Colorist and co-owner of Salon Myo & Kharisma Hair Studio and lead product ambassador for Wella Freelights), and celebrity stylists, Oscar Blandi (stylist and owner of The Oscar Blandi Salon), and Anthony Morrison ( stylist and owner of The Londoner). Also attending the event, was celebrity hairstylist and owner of Oribe Salon, Oribe Canales, who Jack has worked with on many occasions. Smith & Cult luxury glam nail lacquers recently featured in the September issue of Vogue are now available at Samuel Cole Salon. This high end nail line was created by beauty veteran, Dineh Mohajer, founder of 1990’s favorite nail polish, Hard Candy. After years out of the spotlight, she is back, taking the beauty industry by storm once again with a new line of quirky color names and trendy, fashion-forward colors. Glitters, neutrals, neons, and everything in between. 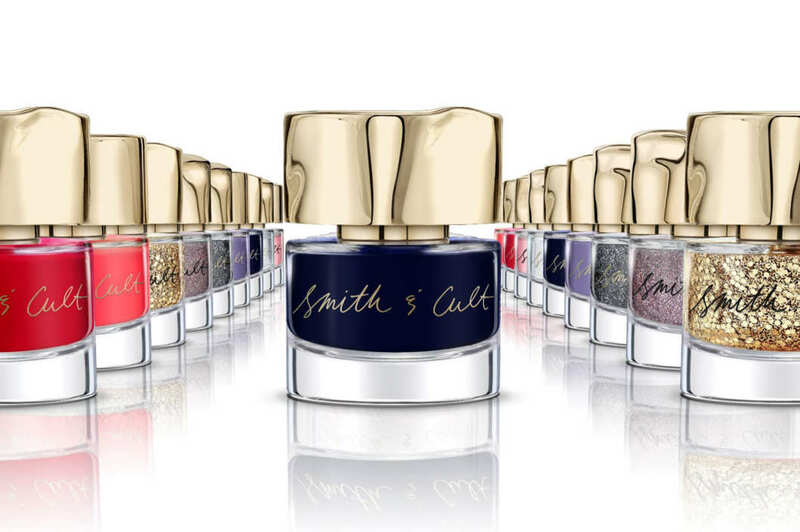 Smith & Cult is comprised of 30 bold, high pigmented shades, plus a base and top coat. Each formulated to deliver both flawless smooth coverage and brilliant shine. Not to mention, they’re 5-free. Formulated without common chemicals found in most nail polishes meaning no dibutyl phthalate, toluene, formaldehyde, formaldehyde resin, and camphor. The brands name is meant to express two sides within us: “Smith” showing a luxurious, soft, alluring side and “Cult” being dark, mysterious, seductive, and raw. The bottles echo that same sentiment — one side is smooth and pristine, while the other side is distinctly dented. Each shade is inspired by and representative of the experiences depicted in her diary entries of a beauty-addicted heroine who sees her world through a lens of color. Smith & Cult differs from both Hard Candy and other beauty brands in that every aspect of the brand is derived from the Diary of our Beauty Junkie — basically me,” says Mohajer. Women can’t help but relate to her/my emotional connection to beauty and relate to the dualities we all inhabit throughout our lives, from triumph to tears, bliss to heartbreak, elegance to absurdity, and everything in between.” says Mohajer. Industry icon and R+Co (Rouge and Company) co-creator/founder, Howard McLaren visited Samuel Cole Salon to launch his innovative product line. Also with McLaren were Luxury Brand Partners Co-President, Tevya Finger and R+Co President Reuben Carranza former CEO of Wella. R+Co is a collective of some of the most forward-thinking, rule-bending hairstylists in the business. The company is a think tank of top editorial and salon stylists and educators—with a combined century of hairdressing knowledge and experience—and as a company they make sure that they have more than one viewpoint on everything they do. McLaren along with industry legend Garren and Thom Priano created the R+Co line with performance for the client and education for the stylist as their major points of emphasis. The trio shared their immense expertise and inspiration in a day long class that focused on motivation and maximizing your potential. In addition McLaren showcased his talent with a cutting and styling demonstration. He also shared the catalyst behind the creation of the R+Co brand. Stylists are the real heroes of this brand. In an industry not always known for collaboration, R+Co is all about creating a dialogue between the broader stylist community to celebrate the culture of hairdressing. We advocate for stylists—and their clients—to find the point of view and style that best matches their own. All of our products are treatment-oriented, with the health of the hair and scalp always top-of-mind. We use unique ingredients and complexes to make sure that each product delivers true benefits”, said McLaren. February 2014 (New York City) – Samuel Cole Salon co-owner, Jack Ray worked backstage at NY Fashion Week for the Milly by Michelle Smith show. Jack was invited to join the Wella Fashion Week Team lead by stylist and industry veteran, Christopher Dove. Christopher along with his business partner, Sonya Dove most recently worked as stylists for the latest Hunger Games movie. The Doves created the fantastical wigs for all of the Capital characters in the movie. Jack also had the opportunity work alongside Shear Genius’ Anthony Morrison. “It’s incredible to be selected to work with such creative and talented celebrity stylists. It’s a rush to not only be working Fashion Week, but to also be working with the best in our industry,” said Ray.